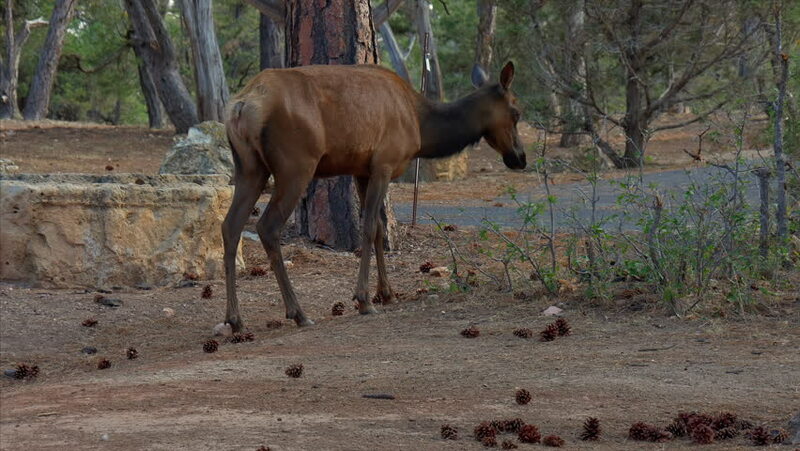 A female elk eating some plants in a campground then stands to attention. 4k00:20Camel Grazing Cuba. A camel in a dry field in Varadero, Cuba. 4k00:14Blue Wildebeest (Connochaetes taurinus) female pushing her newborn calf away to let it walk before drinking.